The TGQ Law Firm is a Michigan-based law firm specializing in the areas of estate planning and probate law. While our main office is located in Ann Arbor Michigan, and we currently have a strong presence in the greater southeast Michigan and Mid-Michigan areas, our reach spans the state of Michigan. Our attorneys aim to assist individuals in their efforts to satisfy and resolve their estate, probate and elder law needs. Our Mission: Inform. Impact. Inspire. Inspire you to appropriate action. We want to see you succeed at satisfying your interests! You deserve respect, kindness and great service. We’re committed to providing that to you! Our attorneys are required to undergo training to ensure that the advice and counsel provided to our clients is accurate and sound. Wills, trusts, powers of attorney and probate matters inevitably involve conversations about death and incapacity – these topics can be depressing. 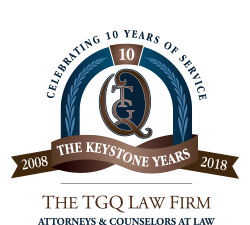 The TGQ Law approach is instead designed to leave you inspired and encouraged! These are our values, and our commitment to you! Trusted Advisor While Aging – securing a trustworthy advisor is invaluable. Clients feel it’s even better when they know that this advisor can be trusted to provide professional support when they need him/her the most. At TGQ Law, we understand the importance of these typical client interests. We are equipped and prepared to serve our clients in these ways.